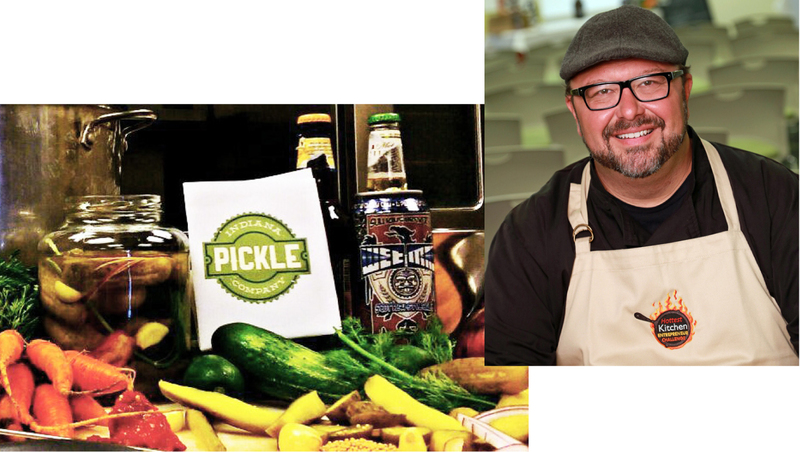 Using an adaptation from an old family recipe, Indiana Pickle Company pickles using local beer and spirits. I have a love of anything pickled, and as a child, nothing was better than Mom’s pickles straight from the whiskey Barrel. Finding it hard to find pickles that come from whiskey barrels now, I started experimenting, adding a hint of whiskey to my pickle recipes. Friends and family loved them. One night a friend asked if I could add a local beer flavor to a pickle, and I thought, why not? So I started to develop a recipe using beer in place of the whisky. What I came up with was a spicy Sun King Wee Mac pickle, a delicious pickled cucumber with the undeniable flavor of Sun King’s Wee Mac. I started using other local brews, Triton Brewing Company’s IPA Pickled Beets, Uplands Wheat Ale pickled asparagus, New Day Sweet Cider Pickles. The sky’s the limit as there are so many fine and tasty local brews to choose from, and each pickle has the flavor of the beer or spirit. 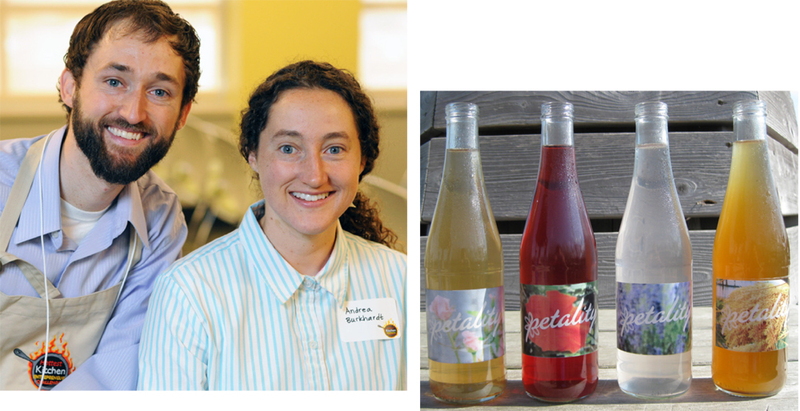 Based in Milwaukee, Wisconsin, founders Mary Pellettieri and Noah Swanson have drawn upon their collective experiences to start a company that will change the way people think about - and enjoy - tonics. In 2014, while researching the world of bitter inducing herbs outside of hops, the complex variety of herbs used in Amaro, Vermouth, and bitter wines from Europe, they stumbled upon the origins of soft drinks, when a ‘tonic’ was a bitter botanical drink made by pharmacists for health and vigor. This led to the creation of Top Note's European styled tonics, Bitter Orange, Bitter Lemon and Gentian Lime Tonic. Followed a year later by Indian Tonic and Ginger Beer, Top Note has become the Renaissance of flavor in tonics. Our name came about after describing the sodas to other professional beer tasters who said, "they have a nice top note." This terminology from the science of sensory analysis describes my love and passion for flavors, aromas, and enjoying the moment. All our sodas have half the sugar as regular soda and are a natural palate cleanser; delicious as-is, but also taste great blended with spirits. About 2.5 years ago I was forced to quit my full time job when I was diagnosed with Stage 4 Breast Cancer at age 34. One year after my diagnosis, most of my treatments and surgeries were done. I found myself at home for the first time, with my two daughters, wondering what to do with myself! My daughters and I started making fresh fruit pops together and because I do live in Wisconsin, adding alcohol to the Pops and calling them Liqkers was the next natural progression! I started bringing them to parties and people went crazy for them! I love highlighting seasonal flavors like Strawberry Basil Lemonade & Jalapeño Peach Margarita for summer and Spiced Cranberry Orange for Fall, to name a few. 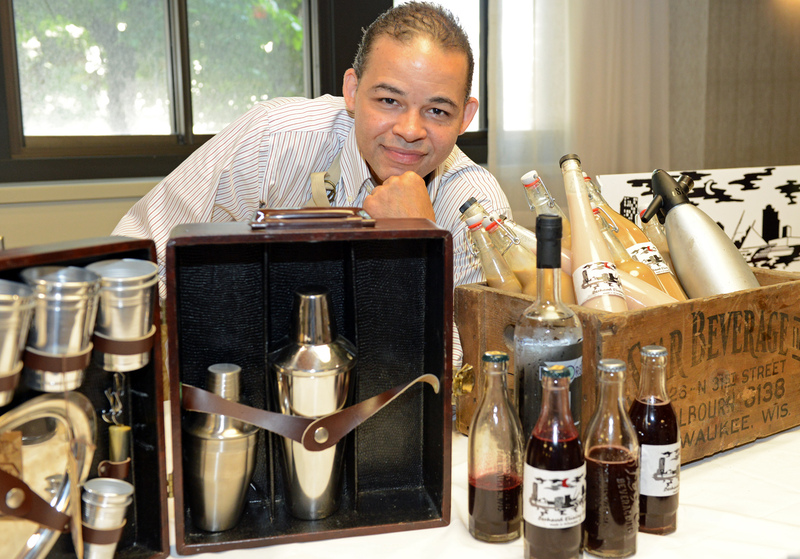 Linnea's Liqkers & Pops are handcrafted and spirited frozen treats. 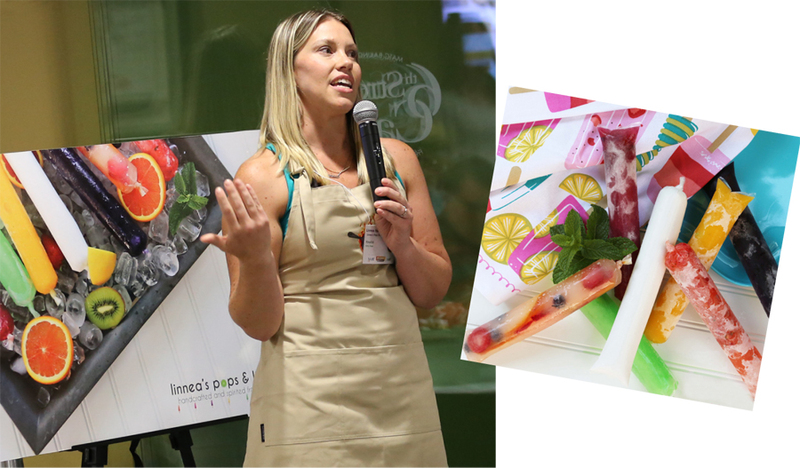 These treats are a fun, fresh and natural alternative to processed and sugar-filled frozen desserts and drinks. Every P&L is handcrafted using only the freshest ingredients and with a good time in mind. Liqkers=Alcohol, Pops=Virgin. Austin Ashley set aside his artisan beer obsession and began experimenting with other craft beverages. He started with small-batch ginger beers, fermented fruit bubblies and quite obviously struck a nerve as demand from friends and family quickly outpaced his hobby-level production. In July of 2012, Austin decided to take the plunge with his wife Hallie, and combine their love of soda with their deep respect for the local food movement and launched Wisco Pop! They are always working to refine their current products and develop new ones. 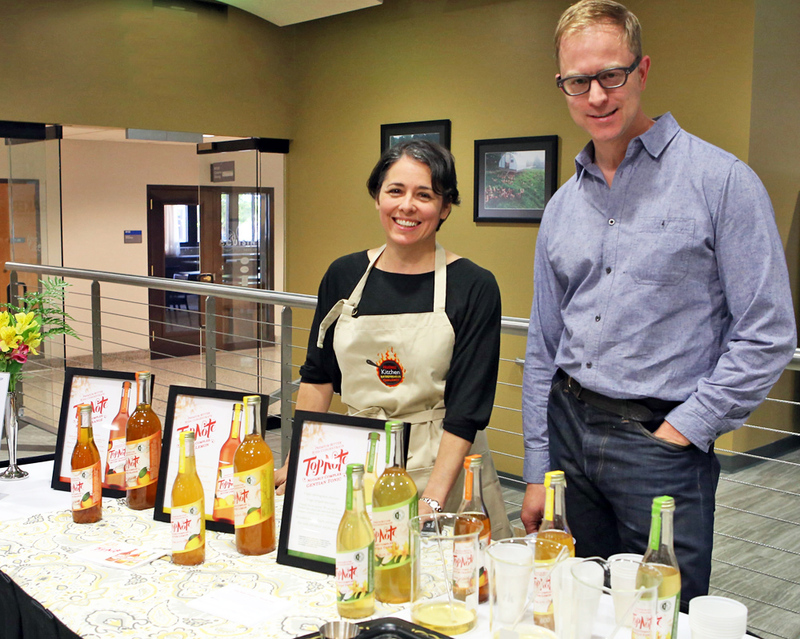 In June of 2016, their sodas became certified organic. They also released their first unsweetened product, organic Lemon Sparkle. The Sparkle line will have two additional flavors added in early 2017. They now distribute organic sodas and Sparkle throughout the Midwest and beyond. 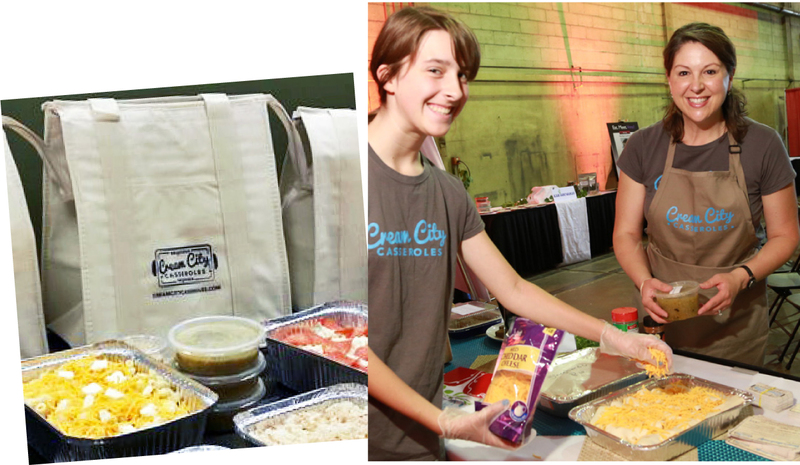 Cream City Casseroles is metro Milwaukee's only casserole delivery service. I make family-sized, oven-ready meals and conveniently deliver to customers at work or daycare. The menu features comfort-food classics such as Chicken and Biscuits, Shepherd's Pie, Pizza Casserole and more. Meals are delivered fully cooked and cold, ready to pop in the oven, fridge or freezer. Our casseroles and skillet meals are wholesome and inspire nostalgia for grandma's home cooking. We use fresh ingredients (no condensed soups). Portions are generous (regular feeds 4-6, large feeds 6-8). Add a salad and dessert for a complete meal. I'm a busy mom of 4 who's always on the go. I was tired of relying on frozen pizzas and drive-thru to save time. One night, a take-and-bake pizza place, I was inspired to start a company that would prepare "real food" in family portions - a guilt-free, feel-good option for busy families and professionals. We make peanut butter so good, so unique and so addictive that our belief is that you can just "Eat it with a spoon!" 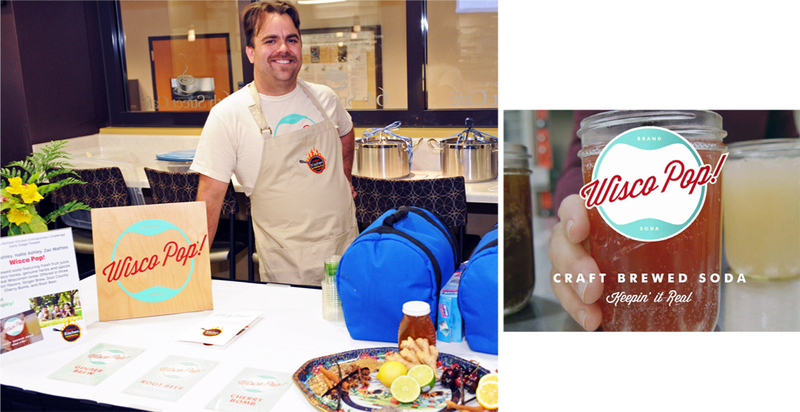 What started as a family project to teach our three children what it was like to run a business has grown into what we now call "a lemonade stand on steroids." We start with honey roasted peanuts and then add such things like white chocolate and pretzels, milk chocolate and toffee, coconut and almonds, snickerdoodle popcorn, and dried cranberries and dark chocolate. 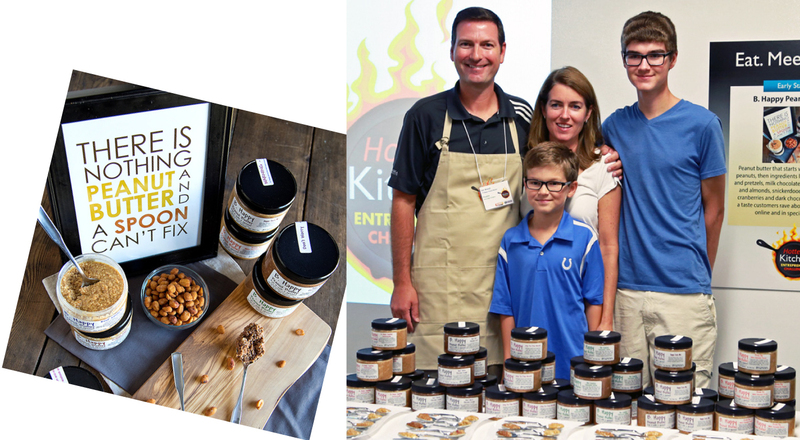 We started selling at the Zionsville Farmers Market and Inga's Popcorn in Zionsville. We now sell in over 25 stores, on the website Uncommon Goods, and ship all over the country through our website. We take great pride in the 5 star reviews we have on Yelp and Uncommon Goods, and the hundreds of positive comments we get on our Facebook page. We love the specialty store owners we work with and want B. Happy Peanut Butter to be something that helps bring more customers into their stores. 5 lilies creates unique small batch preserves, locally sourced and organic, when possible. We have 3 flavors that we offer year round (Blueberry Lavender Peach, Blushing Berry and Pear Citrus Ginger), as well as 2 or 3 seasonal flavors. 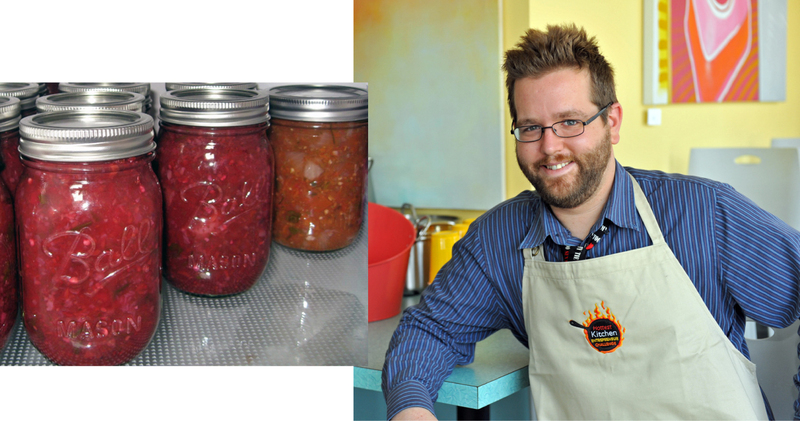 Our jams are meant for people who love to cook and eat. Perfect with breakfast as well as with cheese boards, grilled meats, salad dressings, desserts and Greek yogurt. 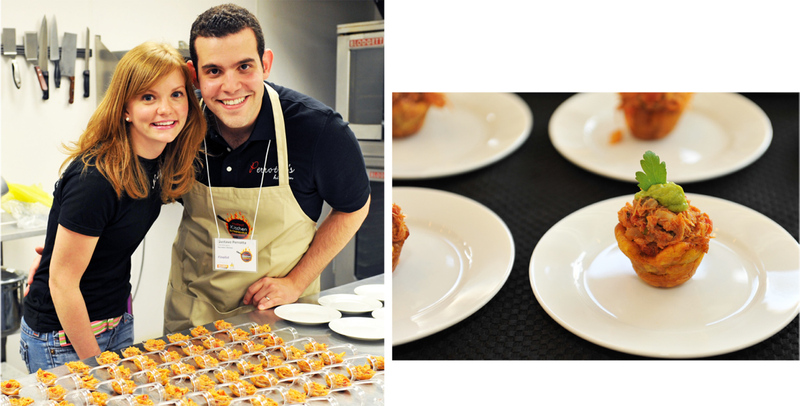 Our love of cooking, sharing food, and creating multidimensional flavors inspired us. 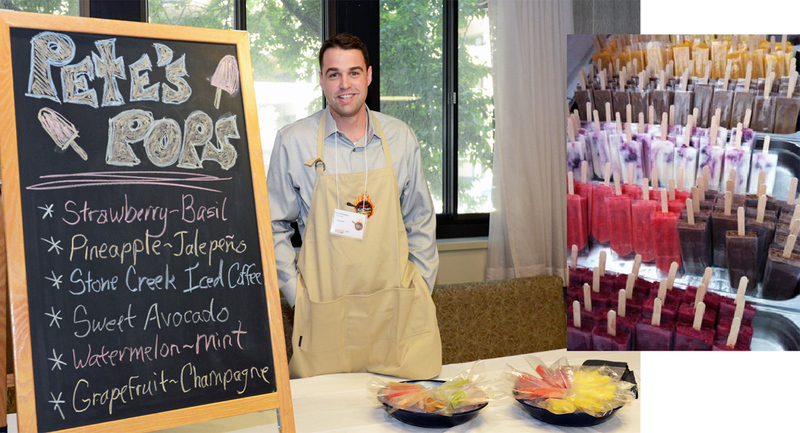 Pete’s Pops Handcrafted pops bring a national trend grown out of New York City, Atlanta, Nashville and Los Angeles to Milwaukee. When visiting my parents in St. Louis I spent one morning at the local farmers market. I noticed almost every person walking around with these brightly colored fruit pops. There was a stand selling “paletas,” a traditional Mexican frozen treat made with fresh fruit and natural sugars. I bought a bright green Avocado pop for myself and a Blackberry Mint pop for my mom. Both were incredible! I came back to Milwaukee and couldn't stop telling everyone about this Avocado frozen pop that I had tried. So I re-created it one Saturday and it turned out pretty good! The next Saturday I made Strawberry Basil pops. And the next Pineapple Jalapeño. For the rest of the summer I experimented with frozen combinations and started talking about my idea for Pete's Pops. By being mobile, Pete’s Pops will be able to go wherever the people are enjoying their summer fun. The low price point makes trying a Watermelon Mint or Chocolate Sea Salt pop an easy choice and the high quality, healthy product will ensure that Pete’s Pops will keep its spot as one of MKE's most popular food trends! The Juice Kitchen is located in Milwaukee's Central City Lindsay Heights Neighborhood with over 2,700 households, 46% of which include young people. Our community is abundant with talents and assets, but also faces numerous challenges. Youth and families face disproportionate rates of obesity and chronic disease, such as diabetes and hypertension. The Juice Kitchen will serve as mechanism for employment, strengthen the commercial corridor, and provide access to healthy food and education related to food preparation. We ultimately see bottling juices, expanding our food preparation classes into schools, and supporting households (our community members) in their efforts to maintain healthy and balanced diets. We will be providing the foods and juices to our current personal fitness clients who have been waiting many years for us to dig in and give our culinary skills a home within the Juice Kitchen. On a trip to Mexico fifteen years ago, I had my first Michelada. At that time I didn’t even know there was a name for this concoction that included salt, chili, lime and beer, but I was hooked! I later learned that the drink that intrigued me was called a Michelada. Upon returning to the States, I was determined to find a mix for this drink and realized that there were very limited pre-made Michelada mixes on the market, and none in the Midwest. 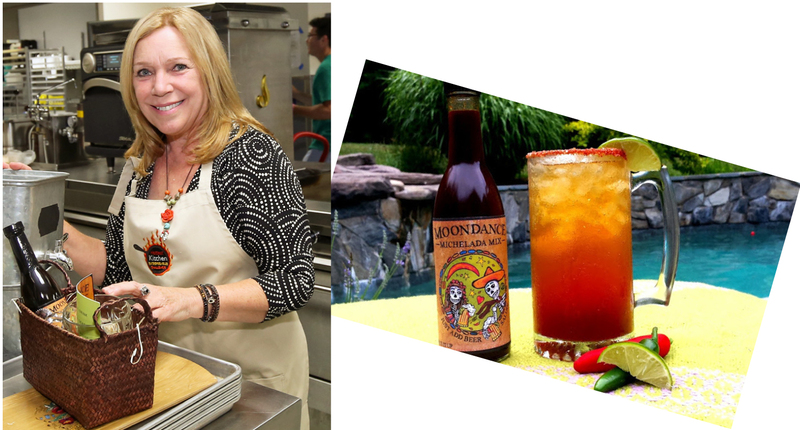 Being the “maker” that I am I decided to take matters into my own hands and created Moonlight Michelada Mix using traditional Mexican ingredients. With Michelada, there are no rules. Want it spicier? Add hot sauce. More tart? Add more lime. To add a kick, mix it with Vodka or Tequila. It’s also the perfect marinade for steaks, chicken, fish, or even tofu and can be added soups, dips and sauces. It’s up to your culinary imagination. Sinful Whoopies are family recipes that reflect my German/Polish heritage. Growing up in Wisconsin there was always beer, cheese and local ingredients that influenced the way we cooked. I use local beers, cheese and spices in my recipes. Fresh, seasonal ingredients are a main stage to my creations. Red Velvet made with a Cherry, Stout Beer. Triple to Die for Chocolate Whoopie topped with Fleur de Sel. Carrot Cake Whoopie with Cream Cheese. (These are pictured). I love rustic so no two are the exact same. A savory Corn and Cheese Whoopie made with fresh, grilled corn. Spring Rhubarb Whoopie. Peach and Plum Whoopies. Door County Cherry Whoopies. Cranberry Whoopies. I love sweet and savory. The varieties are endless! People love Wisconsin and local products. I would love to capitalize on that. I would love to market this online and have a small food BUS (yes bus). My husband originally had the idea and a recipe for beef jerky. Everyone loved to receive it as a gift, but he was unable to start the business because of his job. However, I worked at a high school and was always off during the summer. In 2015, I thought that by opening a small business that I would be able to make a little money during the summer and teach my children a valuable lesson. 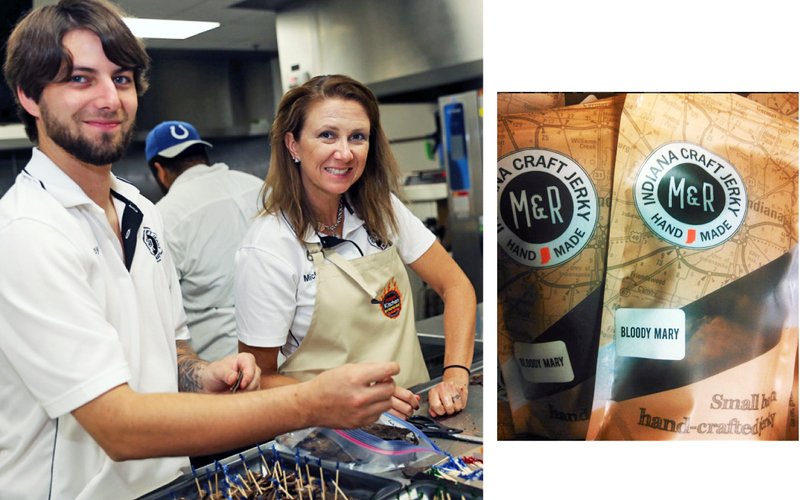 Indiana Craft Jerky was born and boomed. I started at the local farmer's market with two flavors. I used ingredients from farmers when possible and started to add flavors. By the end of the summer, I had a small following at the market and online. We were starting to get requests to sample our jerky and as a result Empirical Brewery in Chicago taste tested jerky from all over and chose us for their taproom. The Omni Severin in downtown Indy also has our jerky in their gift shop and bar. We offer whole muscle meat jerky made from our own recipe and each piece is handcrafted. Pedro’s South American Empanadas cart opens a window to the North American people (for those who haven’t had the chance to leave the country yet) of South American culture, food and flavors. 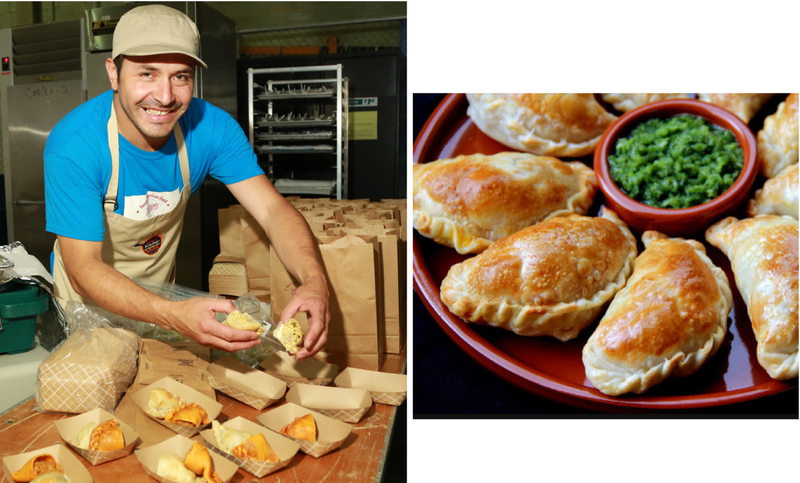 Trying to stay closest as possible to authentic, my empanada cart brings traditional flavors and some of my creations to the public for them taste and enjoy a good experience. Empanadas are a staple of Latin American food with an extensive diversity of flavors. Easy to eat on a plate or on the go, it’s an innovative and fast way to pick a meal on the street or delivered to social events. 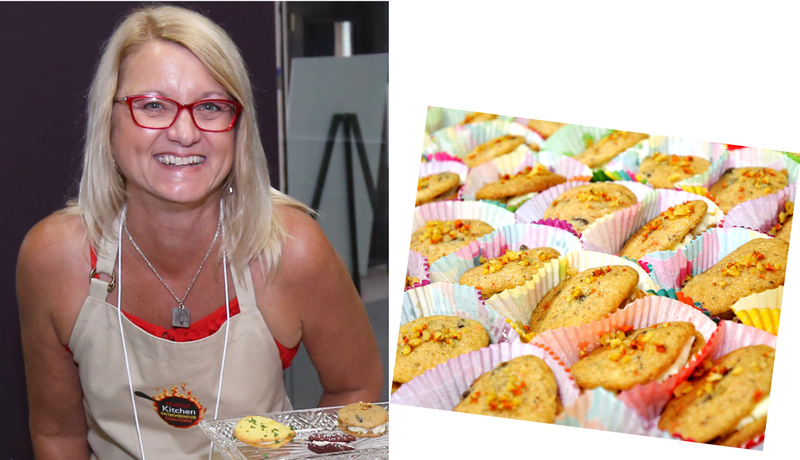 My mom (and business partner in Lemon Tree Cookies) has always made beautiful and delicious cookies for our family and friends. They're so good, it seemed like a waste to not share them with the rest of our community! We make custom, hand-decorated sugar cookies for events and occasions, including weddings, showers, birthdays, holidays, and corporate events. We work with each customer to develop a design that truly fits their event, and we take pride in the detail and perfection of each cookie. And our cookies really do taste as good as they look! So many decorative cookies are too sweet or too crunchy, but ours are light, airy, moist, and have the tiniest hint of lemon, for a unique twist. We love what we do, because it's our way of contributing a little extra joy to people's already joyous occasions by providing something really unique and special. We also make a variety of other unique cookies. We sell in markets and cafes and at events around Indy. 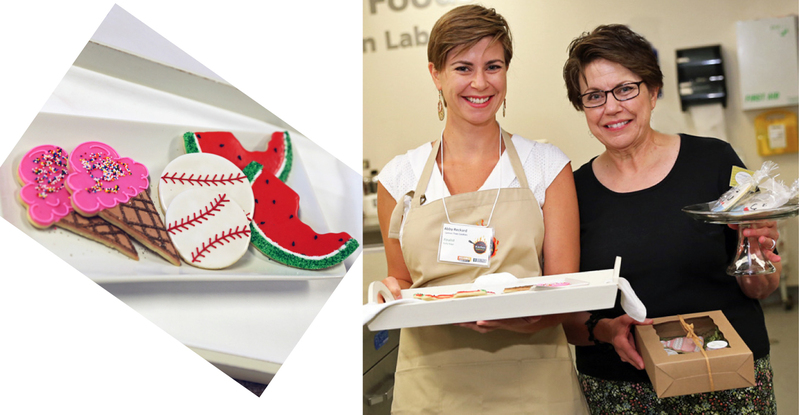 We’ve contributed to local nonprofits and partnered with Indiana businesses to make custom cookies for their employees, clients, and customers. 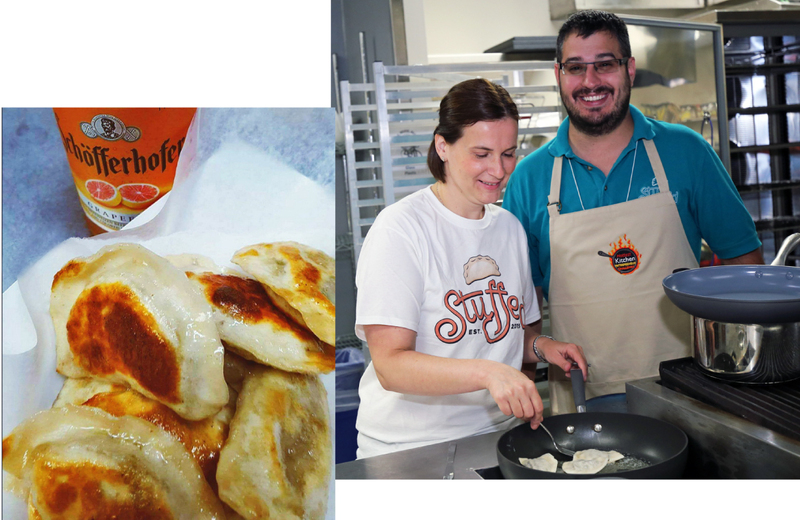 My wife and I recently started Stuffed, a food truck specializing in the Polish staple pierogi. My wife Gosia grew up in Poland and learned from a young age the art of making these delicious morsels of stuffed, pan fried pasta dough. 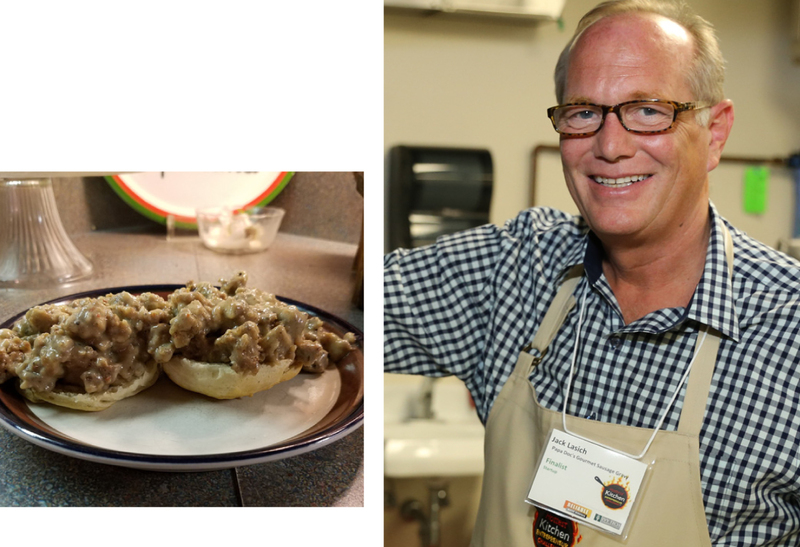 After reading an article in the Journal Sentinel we realized that there was a void in the market for good Polish cuisine. We knew with our restaurant experience, her family recipes and our creative new recipes, we could make this a successful dream. We offer many types of pierogi throughout the season, including potato and cheese, mushroom and sauerkraut, braised short rib, chorizo and corn, and biscoff cookie spread for dessert. We are hoping in the future we will be able to purchase or lease a larger space to give us more room to make and store batches in larger quantity to help save some time. We would also like to find a way to package and sell our amazing pierogi in the off season when our truck is in storage. The journey to my unique food item began when three friends decided to open a food truck. Love of traveling, experiencing different cultures and flavors, the lack of food trucks creating burgers and my husband who always requests an old family recipe “burger” every year for his birthday led to my creating the “Fredburger.” The goal with Far Out Fred's was to get a small piece of international culinary bliss in a portable form. I would take the idea from this birthday burger I made yearly and use it to inspire my own wonderfully unique, creative masterpiece. After all, who says a burger has to be a patty, right? Since then I have created approximately 15 different burgers featuring 15 different countries and their flavors using local ingredients whenever possible and organic, grass fed beef and a handmade bun. In the short time we have been in business, we have already forged some great relationships with local companies and have actually had some people requesting us at their events! Eventually ourgoal is to have more than one truck or even a brick and mortar location. These aachars are family recipes, the foods I grew up cooking and eating with my mom, dad, grandma and grandpa. 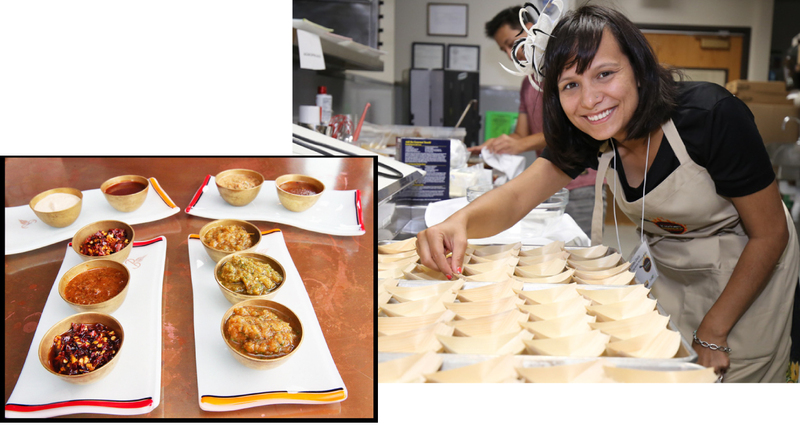 I own and operate a successful restaurant, the cheel, that features these dishes and have had customers request classes or ask when our products are coming to market. I have 10 product lines that we can launch with. The growth possibility is unlimited. I grew up in a country where we ate thousands of different fruits and vegetables used all to make a variety of aachars. In this ever-growing culinary industry, Nepalese, Burmese and Tibetan cuisines are still unexplored. In less than 2 years since its inception, the cheel won over 20 awards. We have created a strong brand foundation for quality products and services. All the aachars are gluten-free; this is just how we traditionally make it. Here is the best part - people who don't care about gluten love them too. The aachars (dipping sauces) have multiple uses: sauce base for other dishes, marinade, slow cooking, etc. 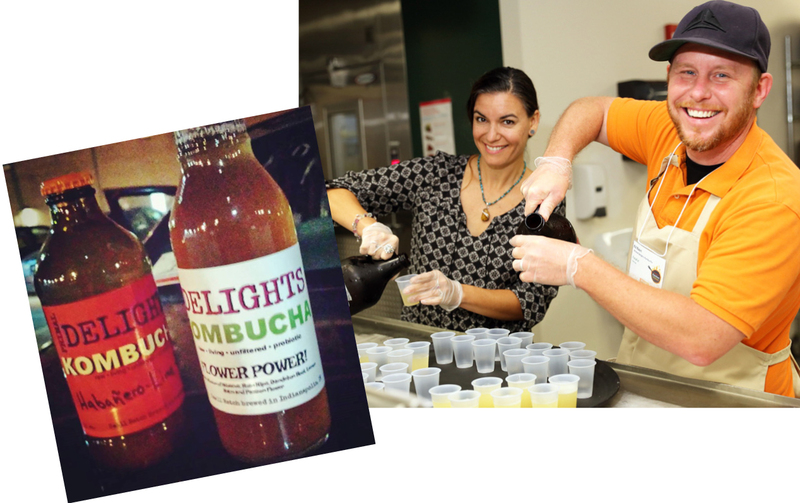 We make Primal Delights Kombucha, a product that is different from any in the Indy area. It's small batch, herbal infused. Most are made with green or black tea; we strive for a high quality, organic, non-GMO product. Some flavors include fresh pressed fruit juices as well. Initially, we started as home brewers. Our love and devotion to fermented foods became expensive, so we had the idea to make our own. Friends and family kept wanting to pay us for our kombucha and krauts. We finally decided to try and see how we can grow this into something much bigger than ever thought. We believe that fermenting is a great way to be healthy and have fun too! I would like to get it on tap in local bars and restaurants. I have a few local businesses that are ready for the product to be added to their lineup. Ultimately, I would love to see it on tap EVERYWHERE! The Raw Conformist brand of Raw prepared desserts and snacks is decadently delicious with the upside of being delightfully nutritious. Created with a unique blend of organic, gluten-free “raw” ingredients including nuts, cacao, coconut, dates, pure maple syrup and Madagascar vanilla, this clean treat is supercharged living food that enlivens those who partake. My love of traditional baking was learned from and shared with my grandmother. Like so many of us, however, after eating baked sweets I was left feeling guilty and sluggish at best and suffering from a sugar coma at worst. On a quest to continue to fit into my favorite jeans AND create scrumptious nutritious treats for my sons and myself, I began to experiment with raw food concoctions. I knew I had hit pay dirt when my boys eagerly asked for my Naked Nirvana (Raw tiramisu) oblivious to the fact that their favorite treat is jam packed with only good-for-you ingredients. The Raw Conformist offers products that satisfy a craving for a treat you never imagined could taste so good and nourish your mind, body and spirit. Batch No. 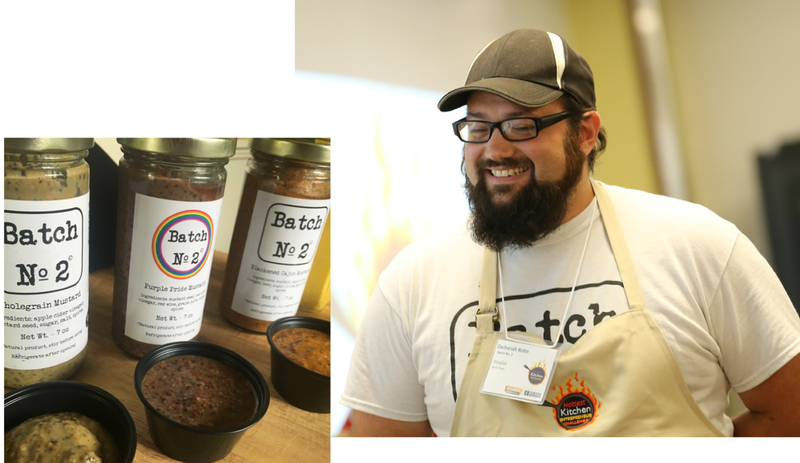 2 is an artisan condiment company specializing in mustard and catsup. We offer an Original Wholegrain Mustard, Blackened Cajun Mustard, Purple Pride Mustard, Ballpark Yellow Mustard, and Tomato Catsup. Our mission extends past the jar however, as we strive to be an active part of Indianapolis Food Culture. We market ourselves not just at consumer ended retail shop, but to restaurants as well as farm markets and relevant food events throughout the city. We take pride in our Midwestern roots and keep our process as local as is possible. We are carried in retail locations in Indianapolis including: Wildwood Market, Goose the Market, Pogue’s Run Grocer, Homespun, Nicole-Taylor’s Pasta Shop, Joe’s Butcher Shop, Tasteful Times, Amelia’s Bread, The Indiana Artisan Store, The Conner Prairie Gift Shop and two downtown Marsh locations. Restaurants that also use our product include: Bluebeard, Pioneer, Thunderbird, BARcelona Tapas, Beast Food Truck, High Five Lunch and Gomez BBQ. We are proud members of Indiana Artisan and Indiana Grown. Mofongo is a Caribbean dish made out of deep fried plantains smashed together with garlic and chicharrõn (fresh pork grinds). In Perrotta's Kitchen version, plantains are fried, formed into small cups, filled with seasoned crab meat with a nice kick, and topped with fresh guacamole. As this Crab Mofonguito is flavorful enough, I didn’t use garlic or pork grinds. Originally from the Dominican Republic, plantains played a big role growing up. My mother was always able to delight my family with freshly prepared meals, and seasoned crab meat is one of her favorites. This dish has a good balance in your mouth as it combines the bold flavors of the crab with the crunchiness of the deep fried plantains and the creaminess of the guacamole. There's not a place in Indiana that offers you this kind of diversity in one bite! In my cuisine, I fuse Latin and Asian flavors with Italian and create my version of all-time classics. I have created a line of jams, jellies, butters (currently working on sauces and ketchups), using local products and produce whenever possible. I have a line of tea-infused jellies, made with local TeaPots n Treasures hand-mixed teas. 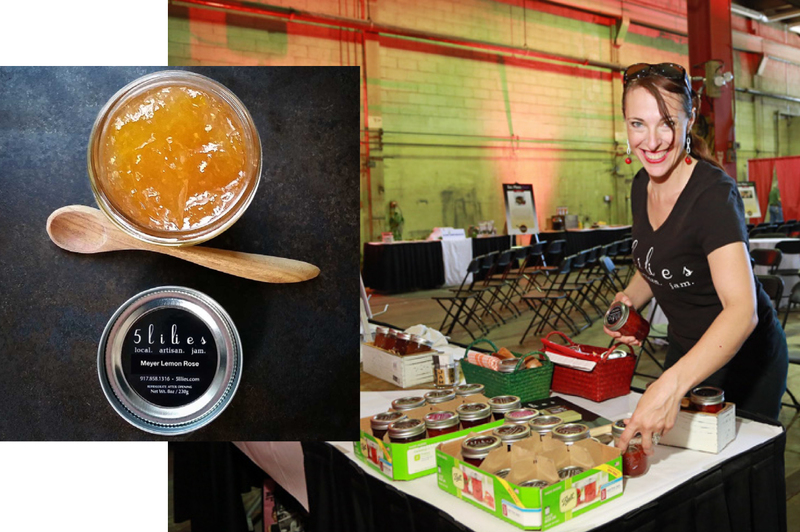 Robbybaby's Kitchen currently has Mom's Apple Pie Jelly, Bobby's Banana Butter, Pineapple Mint Jelly, Carrot Cake Jam, Blueberry Lemon Jam, and six tea jellies. Growing up I have fond memories with my mom in the kitchen canning homemade apple butter. I was involved in 4-H here in Indiana, where I enjoyed baking for the local fair competitions. 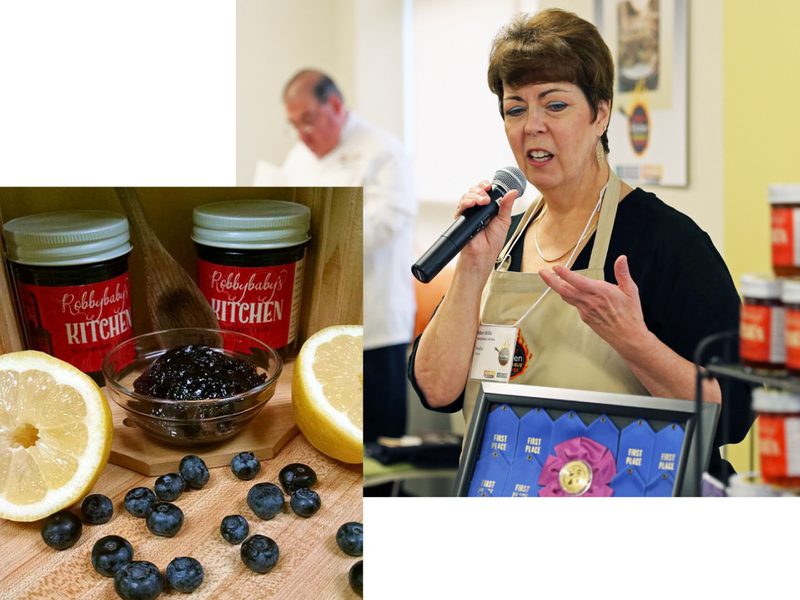 At the young age of 51, I began to stretch my culinary wings and decided to enter jams and jellies at the Indiana State Fair. After doing surprisingly well, I began to consider the idea of creating a business with my winning entries. I now have 5 years’ worth of first place and sweepstakes ribbons from both the state and county fairs. kalyANa organics sells organic, gluten-free cooking and baking mixes (without refined sugar and only sprouted, organic grains, if any) which include Coconut Flour Banana Chocolate Chip Muffin Mix, Coconut Flour Sprouted Corn Bread Mix, Deep Chocolate Almond Flour Cake Mix, Double Chocolate Almond Flour Brownie Mix, Browned Butter Chocolate Chip Cookie Mix (almond flour), Power Packed Pancake Mix (almond & coconut flour, flax meal & hemp seed) and Sweet Potato Chai Pancake Mix (almond & coconut flours, chai spices). 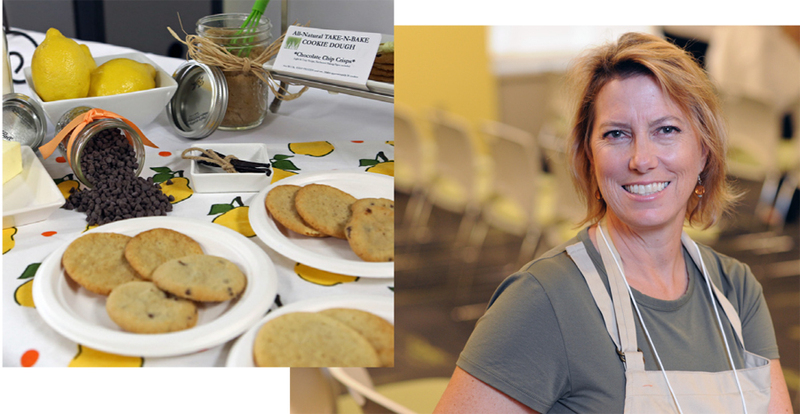 I am inspired to create best-in-class, nourishing, nutrient dense products that taste delicious and offer unique ingredient combinations, especially with infusions of Rishi organic teas! 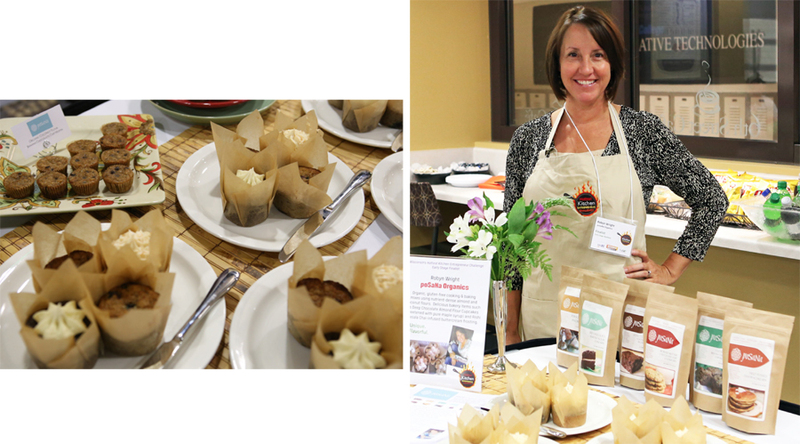 One of the products I would like to highlight is my Rishi Blueberry Rooibos-Infused Coconut Flour Blueberry Muffin. 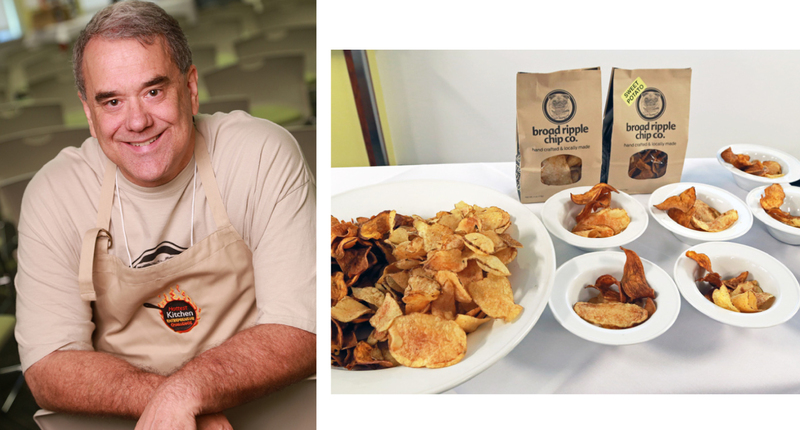 Mark McSweeney, Broad Ripple Chip Co.
Broad Ripple Chip makes potato chips from scratch. There was unused space in an existing business and we had been thinking about what we could do with it. Homemade fresh potato chips are so good, and after much experimentation we came up with a process that worked. Friends and family loved them, so we proceeded to turn it into a business. Most potato chips are weeks or even months old when purchased, and they are all made from a white bland potato bred specifically for making a light colored bland chip that tastes mostly like oil and salt. We use Russet potatoes - Idaho baking potatoes - which result in a slightly darker, caramelized, more flavorful potato chip. They are oversized and lightly seasoned. We use large potatoes so most of the chips are 2 or 3 times the size of a typical store-bought chip. In addition to selling our chips in grocery stores and specialty markets, we would like to be able to produce our chips more economically so they could be sold at more outlets. Ultimately, if there is success and cost of production could be reduced enough, a distributor might be a possibility in order to sell the chips in other cities in neighboring states. The Naked Baker offers the ultimate cookie experience with frozen all-natural gourmet cookie dough. Each recipe uses all natural ingredients free of preservatives artificial sweeteners and hydrogenated oils. We want to give that freshly baked cookie experience to everyone and make it easy for even the busiest people to enjoy freshly baked cookies. My four boys inspired me to create this. They always told me no one ever brings homemade treats to school any more, only store-bought cookies that aren't fresh. Charlie’s Chillers' Blizzard Bones and Polar Paws are gourmet, home crafted, organic frozen treats for dogs. I have been developing pet treat recipes for ten years. With the current trend in food trucks and carts, huge growth in the pet product industry and growing concern over pet food and treat recall notices, I believe this is a tremendous product idea. All my treats have been taste tested and loved by both humans and canines. Why frozen? My concept is a great idea for a cold plate cart. How often do you find people walking their dogs on the Monon or bringing them to farmers markets or humane dog events? These are perfect venues for a mobile treat cart for dogs. I have experimented with the recipes enough to know what texture and taste is the most practical and desirable. Dogs that have served as taste testers eat the treats so readily and quickly that melting and messiness has been no concern. Petals. Vitality. Petality. A bouquet of flavor and health. Our idea: Petality, the world's finest, most beautiful and healthy organic flower beverages, specifically freshly brewed tisanes and also sodas. Our initial offerings: Rose Tisane, the epic, universal symbol of beauty in a bottle; Lavender Tisane, a classic, legendary taste, calming aroma and perfect floral sweetness; Hibiscus Tisane, bold scarlet petals, rich with exciting tartness, bright floral flavor and more antioxidants than green tea; and Palm Flower Soda, luscious blossoms of the palm tree yield royal, nourishing nectar. We've passionately enjoyed diverse "teas" since before their popularity. Development was fueled by a desire to present the beauty and health benefits of flowers in culinary form. Organic, non GMO, authentically brewed tisanes in pure spring water. No extracts. Epic flavors, legendary aromas, amazing health benefits. No artificial or ugly sweeteners;, no artificial or natural colors added, no artificial preservatives, no artificial flavors or “natural flavors,” no excessive sweeteners as we showcase flowers, not sugar. We want people to "stop and drink the flowers" in everyday life. My goal has always been to have a deli concept which promotes a healthy lifestyle of Omega 3 fish and seafood products. 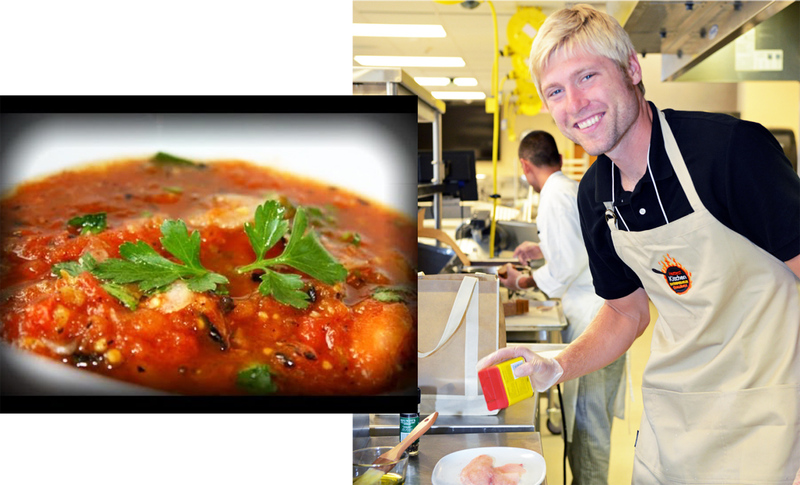 Once I retired from the military in 2009, I started pursuing a degree in hospitality and culinary. I've developed recipes consisting of fresh fish, meats and from the garden to the table vegetables. My concept will cater to the healthy eaters of central Indiana. My goal is to locate the deli on the west side of downtown Indianapolis where lots of new condos are being built and young professional are moving in, offering easy-to-go meals, in-store tapas, wine & food pairing for those wanting to dine-in while listing to smooth jazz. The to-go meals will be packaged for ease of transport to be consumed at downtown events on the canal, white river park, or military park. My business goal is to also sell my 4 oz - 6 oz - 8 oz pieces of salmon in local grocery stores and distribute to other restaurants. Vineyard Fishery is currently catering events and building the brand. 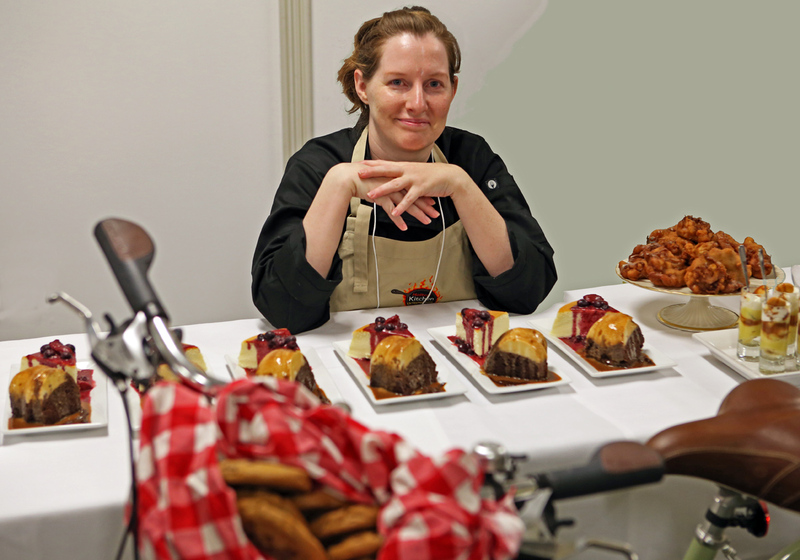 Premium baked goods delivered via bicycle. Local, handmade, all good. 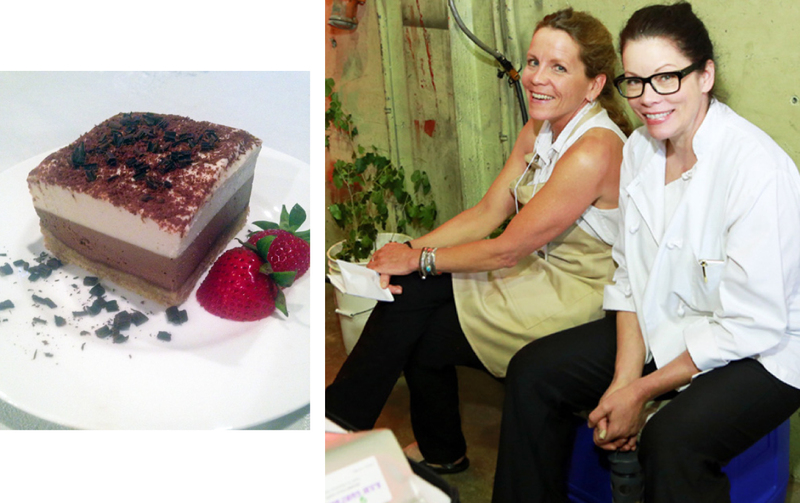 Such as Japanese cheesecake, Brioche donuts, hand decorated sugar cookies, chocolate mousse cake, etc. I have been a baker both professionally and at home for many years. I love baking, and my family, friends, acquaintances love when I bake too. People constantly tell me that I should open my own place. I also love bicycling, and hate commuting via car in traffic. I am also more and more environmentally aware and try to be as green as possible. I strongly believe in buying local. Having lived in Mexico I quickly became accustomed to having food vendors pass by on bicycles selling fresh homemade food. After coming back to Indy I really, really missed that sort of connection with the neighborhood. Quite frankly this concept came to me after a too long period of time sitting around on my keister and over indulging in sweets. I had to get out there on the road. That's when it hit me - bakery delivery on a bicycle! 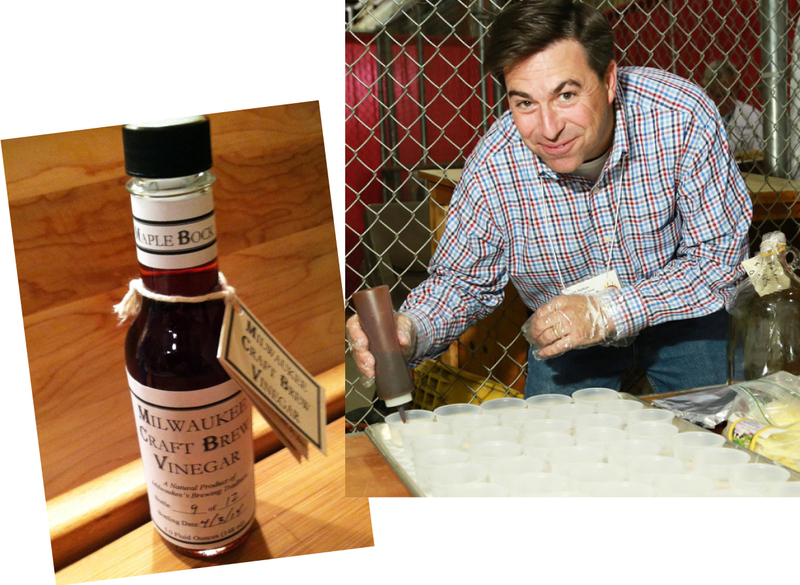 The earliest history of Milwaukee includes vinegar production and pickled foods. Milwaukee Craft Foods is seeking to create a natural product of Milwaukee's brewing tradition by allowing local craft beers to ferment into completely unique malt vinegar. We have been experimenting to find select brews which age out into delicious and complex malt vinegar, for pickling, sauces, and other culinary uses. The uniqueness of Milwaukee Craft Brew Vinegar begins with the selection of beers which are the base of each vinegar. From a saison-style which ages into a champagne-like vinegar to the richness of a maple bock aged to almost balsamic-like finish. Further extending into flavorful sauces and pickled vegetables utilizing the vinegar creates an entire line of artisan food products. 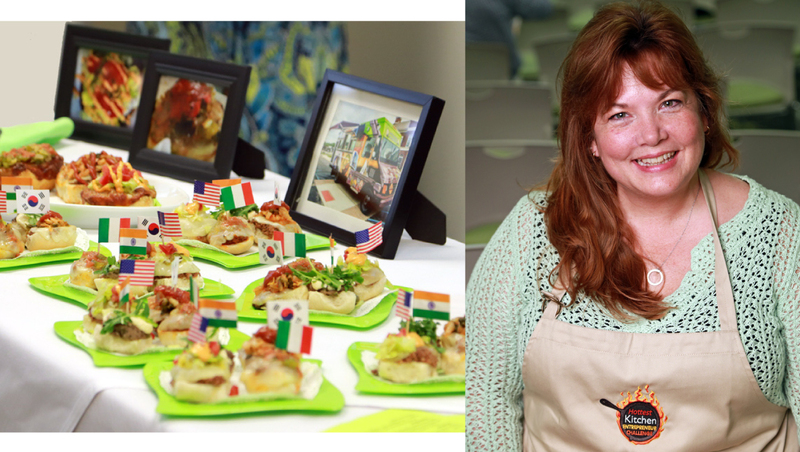 This Chowventions (aka-food invention) idea was conceived out of my love of culinary history. I gave an ancient Switchel recipe a unique, innovative twist. As far as cocktail syrups go, mine can be described as "premium or gourmet." It has locally sourced ingredients that people can easily identify, not chemicals. I hand crafted this recipe from scratch. It's flavorful, Vegan, Gluten Free, and even has health conscientiousness to it. It can easily replace apple, ginger, simple, or even honey-based syrups currently on the market and take cocktails to a whole new level. It contains beer but is technically non-alcoholic, so it's also a great idea for ginger-based craft sodas. Zwitchel is a multifunctional product best suited as a wholesale purchase for bars and grills, taverns, and anyone in between who might be selling craft cocktails or craft sodas. I am working on a parallel product geared toward the food service side of the house, enabling chefs to utilize a thickened version this product as a dressing, filling, topping or glaze. I am a female wounded warrior, so this is a disabled veteran owned company. I also employ persons with disabilities in the production process, providing a paycheck and a sense of well being. We are a gourmet hamburger food truck/catering service. 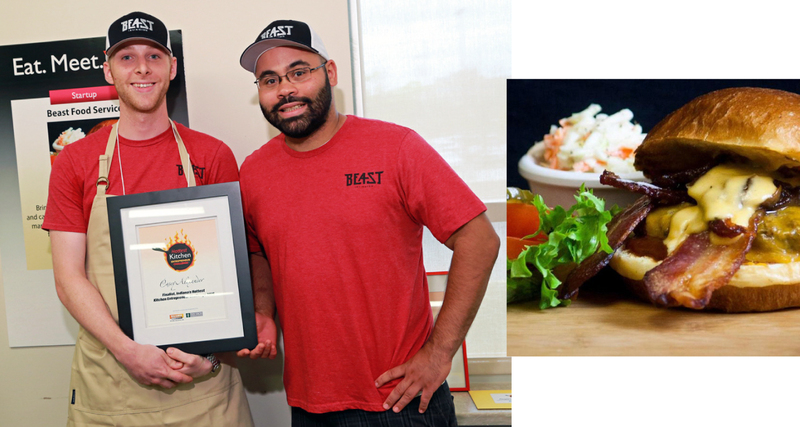 My business partner and I came up with the concept of Beast as he was finishing up his final year of culinary school. We both live in the Irvington area and there is a lack of great burger options. Our concept is simple, honest food made quickly. It is unique and marketable because we plan on serving a market that is not currently being taken care of. 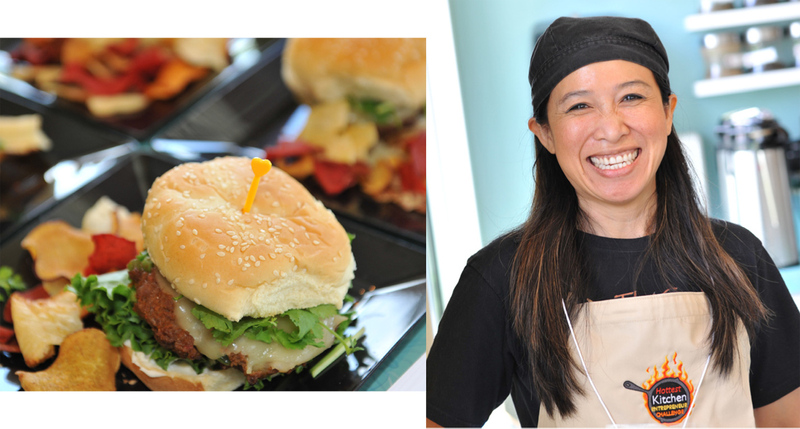 We serve farm to curb restaurant quality hamburgers at your local events and on your lunch break. Our truck is a mobile restaurant that provides fast service, high-quality burgers and sides. Also, we have a social media strategy that involves being in direct contact with our customers. Our plan is start with a food truck, grow our catering business and within the first two years we would like to add a brick and mortar food counter in the Irvington area. Baking and selling pies with my grandmother was one of my fondest childhood memories and Wilhemena’s Pies was inspired by her. When I decided to take my passion for crafting pecan pies from a hobby to an actual business, I asked my aunt (since my grandmother has since passed away) for my grandmother’s original pecan pie recipe. She then told me, “Go and make it your own,” which meant craft pies with my grandmother’s inspiration but make the recipes my own. By owning the process, I was able to decrease the amount of sugar that goes into my pies by one cup (yikes, grandma wouldn’t have agreed to this). I up the flavor with gourmet vanilla extracts like Madagascar Bourbon Vanilla, Double Strength Vanilla, and Mexican Vanilla. We craft several unique variations of pecan pie including: Traditional Southern Pecan Pie, Roasted Salted Pecan Pie, Dark Chocolate Pecan Pie, Bourbon Pecan Pie, Butterfinger Pecan Pie, and Coffee Pecan Pie. Our pies are made fresh to order and feature locally sourced ingredients. For instance, our Bourbon Pecan Pie features Great Lakes Distillery’s Kinnickinnic Whiskey and our Coffee Pecan Pie has Valentines Coffee Roasters espresso as an ingredient. 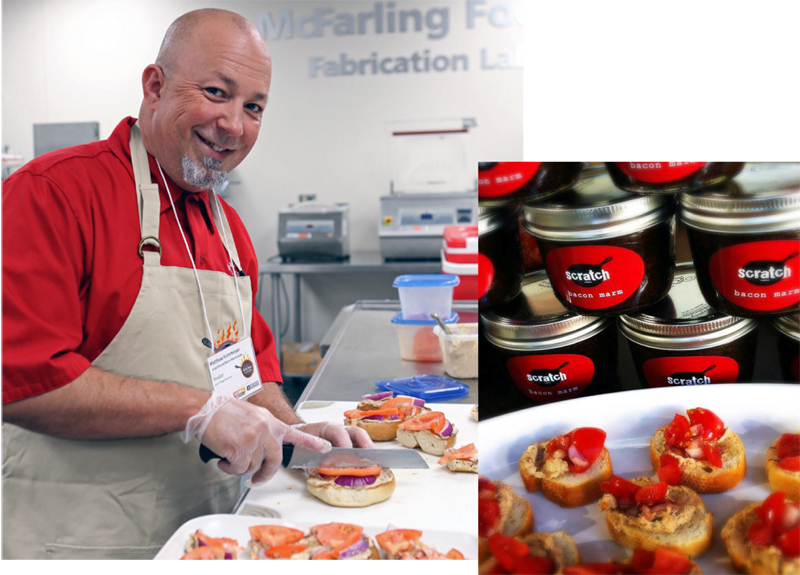 We received many requests for our Bacon Marmalade product that we serve on our food truck. We use it as a topping on our Scratch Burger which adds a sweet, smoky element to the burger. We have also found it to be great with other items, such as mixing it in with meatloaf, putting on toast with scrambled eggs and even vanilla ice cream. We have started to jar it and we have it in a few small retail locations and sell it on the food truck and Etsy. The response has been good and we have been approached by a major grocer to carry our product and possibly expand the product line. 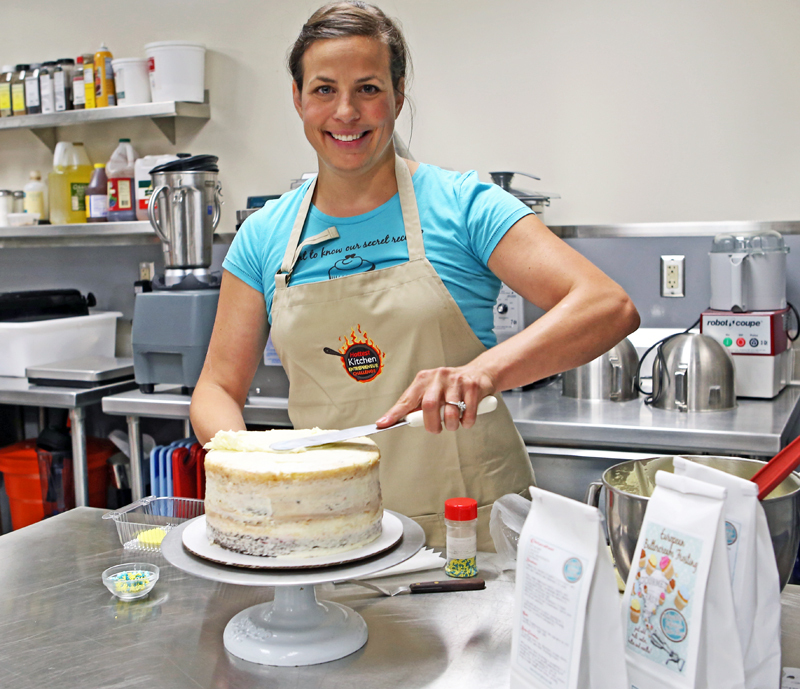 I have owned a cake, cupcake and dessert bakery in Cedarburg for several years. We are known for our unique buttercream recipe and up to this point have specialized in making decorated cakes and cupcakes for all occasions. From scratch European buttercream is time and skill intensive, but we have created an easy, quick, and fool proof way for the home baker to reproduce and customize our product. Our European Buttercream Mix is perfectly sweet (not overly sugary), very smooth (not gritty or grainy like super market frosting), and does not leave a greasy film on your palate. Our product will be sold as a shelf stable dry good that the consumer will add milk, butter and vanilla to and can complete in 2 easy steps. This will produce a delicious vanilla buttercream that is unlike traditional American buttercream or the canned frosting found in the grocery aisle. The packaging will include directions. We make a variety of neo-Neapolitan pizzas as a vendor at public events and farmers markets and as a private caterer. We run our 48 inch wide brick oven entirely on wood. It's mounted on a trailer designed specifically for this so that we get great heat retention and reliability when we drive it around the countryside. As much as we can, we source local ingredients. Fresh produce and meats are bought from small retailers and growers in Columbus. We hand stretch our fresh mozzarella for our classic Margherita pizzas. Our family participated in a Community Supported Agriculture (CSA) program at Hawkins Family Farm in North Manchester before moving to Columbus. They built a brick oven in the middle of the barnyard and started a “Fridays on the Farm” event weekly in the summer. The way that community gathered each week around the freshest ingredients, a wood fire, and farm living was an inspiration to get a portable oven once we moved. To grow our business, we may need to focus on larger cities and their events or open a brick and mortar restaurant. We make all-natural TAKE-n-BAKE cookie dough. As it’s preservative-free, it is sold as a frozen product to extend its shelf life. We are currently featured in local specialty shops and have been well-received. 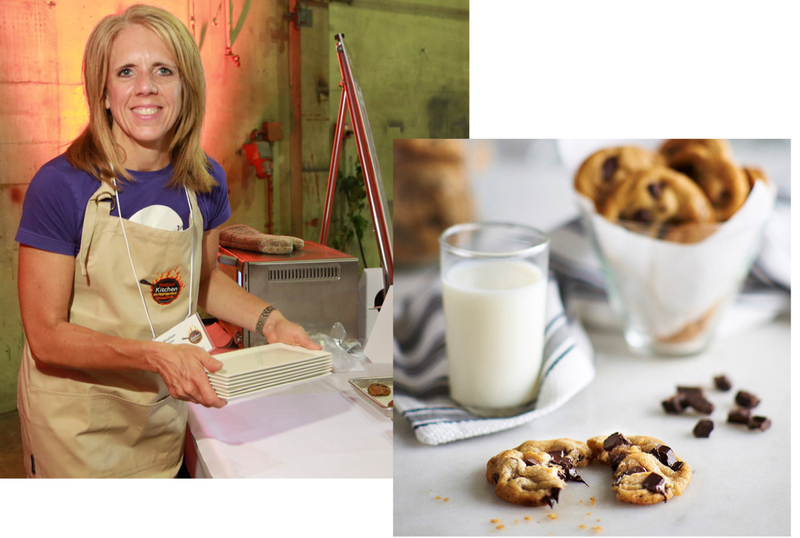 After years of baking and perfecting cookie recipes that weren’t heavy, gooey and loaded with fat and sugar, and an even longer search for the right all-natural ingredients, Greenfield Cookie Dough Company was born. We are a small batch, premium cookie dough maker located in Central Indiana. Each hand-made batch of cookie dough is created from the best ingredients, mixed in a small batch from an original recipe, assembled under the proprietor’s watchful eyes, and artistically hand packaged. Our recipes provide a “light and crisp” twist to traditional recipes. The consumer can experience the delightfulness of fresh-baked cookies, made right in their own oven. We even include the parchment baking paper! DEVOUR RESPONSIBLY! uFlavor Ketchup Boosters are an exciting new way for consumers to experiment with taste. Our boosters were born out of a simple question - how can we make fun, flavorful, and adventurous sauces available to foodies everywhere without crowding refrigerators or requiring consumers to buy a new bottle of sauce for every flavor they want to try? When we realized that the base of most barbecue sauces is the same (essentially ketchup), we began to look at what made various sauces on the market stand out – the unique flavors that were added to a classic base. We then started to experiment by creating a proprietary library of dry mixes of various seasoning profiles with the intention of adding the “wet” ingredients later. This allowed us to create dozens of condiment flavors out of a single bottle of ketchup. While the uFlavor Ketchup Boosters were created to transform a single bottle of ketchup into a variety of taste experiences, the Booster seasonings can be used in almost unlimited applications, allowing customers to transform otherwise predictable foods into something exciting. For instance, other condiments pair well with the seasonings…including mustard, mayonnaise, BBQ sauce, and even sour cream or ranch! The Boosters are fun to use in recipes as well. My stepdad, Dr. Bob Morse has been gone for nearly 20 years now. He was the anchor of our family and is still missed dearly every day. Everyone called him Doc except for my sister who called him Papa Doc. Being the family cook he would host breakfast on weekends for our family of seven kids and all of our friends. Everyone's favorite was his sausage gravy. All of those friends, still make his recipe for their children to this day. The recipe is unlike any other commercially available product. We are all familiar with the grocery store and restaurant versions that tend to be rather bland and pasty with very little meat. Papa Doc's Gourmet Sausage Gravy is in a league of its own. With its peppery, smoky flavor and rich meaty texture it’s sure to become a Sunday brunch staple for tables across the county. One taste and you'll know why our Papa Doc and his sausage gravy are still loved and cherished to this day. My goal is to see this product become a grocery store staple. Another goal, aside from distribution is to honor this man who so enriched our lives. His image would be on every label. Spirit of Spelt creates delicious old-fashioned cookies made with spelt. A delicious, old world grain, spelt bakery products offer an alternative for individuals who are sensitive to products made from common industrialized wheat. Cookies are made in a traditional method using wholesome ingredients. 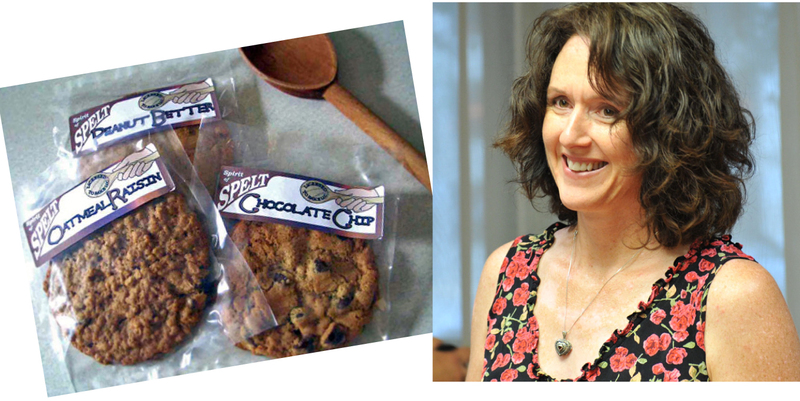 To introduce the brand, we developed three recipes: Chocolate Chip, Oatmeal Raisin and Peanut Better. As a Mom, it was important that I provide my family with wholesome and nutritious food. My husband had become ill with a chronic inflammatory illness doctors could not diagnose. After five years he ended up with a prescription to treat the symptoms. Then I learned about spelt from Eat Right for Your Type. After eliminating wheat and dairy, then reintroducing a few dairy items and substituting spelt for wheat, my husband’s symptoms cleared up after three weeks! Sauceformations recipe is very simple but distinct. It is called Tomato Choka and it was passed to me by my girlfriend's family from Trinidad. It is versatile as a dip or side dish, but I have found it to be an amazing simmer sauce on chicken and fish. Like any dish, tomato choka is best with fresh and flavorful ingredients. I'm inspired by the power of fresh, nutrient dense herbs and vegetables because they create health and pack flavor! I would like to develop a line of unique, certified organic sauces, starting with the tomato choka, using locally produced ingredients. It would bring convenience with a kick to home chefs while supporting local organic farmers. Skinny Dinner Starter's Superfood Italian is a kale-based pesto is the perfect dinner starter for busy moms who are looking to provide their families with fast, healthy (and skinny!) dinners. Moms can buy the starter and then will be able to make various dinners quickly, using my proven recipes. Some examples of recipes that can be made are Special Green Pasta (which kids love! ), Italian Grilled Cheese, Mediterranean Pizza, Italian Shrimp, Pollo Verde, Italian Flat Bread, and Tilapia in a Pesto Cream Sauce. The product is 100% natural and with kale as the base, is nutrient rich and high in fiber, so moms will feel good about serving it to their children. And it tastes great too! 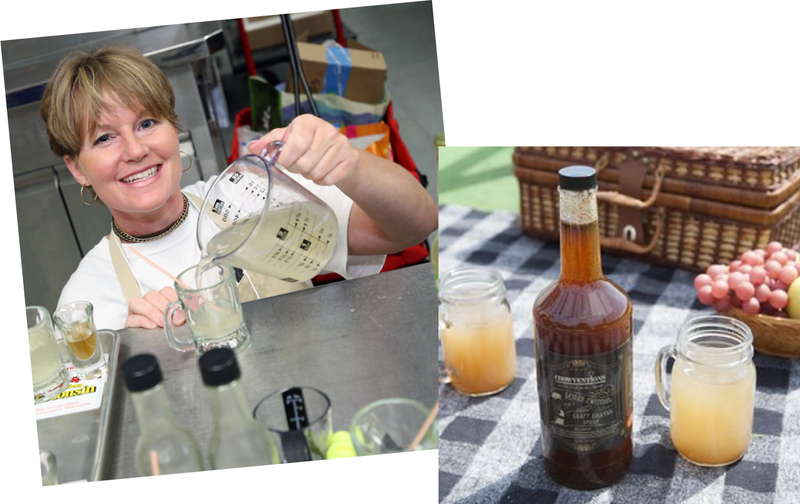 My products are a line of hand crafted small batch beverages made from the best local ingredients available. 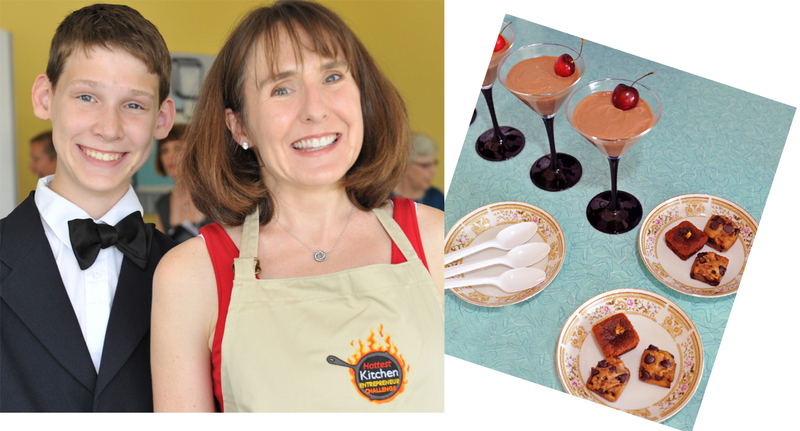 My seasonal beverages are a hit among my friends and family - such as Chocolate Chai Veloute made with fresh Wisconsin cream, Citrus Saffron Horchata made with fresh rice milk and local herbs as well as a Sweet and Sour Cherry Coulis made from locally picked sour cherries. 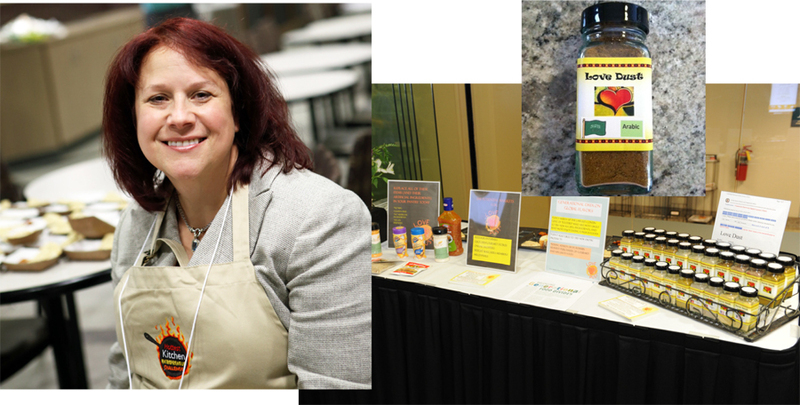 I've been inspired to make a product which utilizes urban agricultural products as well as rural Wisconsin ingredients. The versatility of my Chocolate Chai Veloute for example, is great hot or cold, on its own or I've heard it makes an excellent addition to a White Russian cocktail or cup of coffee! 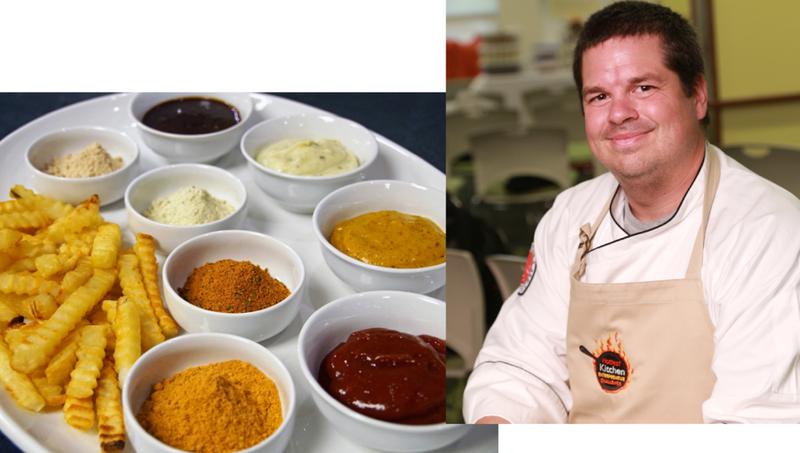 Love Dust® is a line of international spice blends accessible to both the novice cook and the experienced foodie. Love Dust can be used to add global flair to everyday items such as popcorn, chicken, burgers, and eggs. It can also be used to create dips, salad dressings, and seasoned snack foods with minimal effort. The experienced foodie can use Love Dust to create amazing dishes from such exotic locales as Tunisia, Ethiopia, and Yemen. The beauty of the product is its versatility; no need to purchase a separate product to make a dip, marinate meat, or create a salad dressing...Love Dust does it all! All blends are MSG free, gluten free, and have no artificial ingredients. Love Dust was a spectacular accident. I created the spice blends to season our homemade potato chips on my company's gourmet food truck, The Fast Foodie. After experimenting with the blends, I found out how versatile they were and was urged by customers to bottle the blends so they could use them at home. Ever since I was a little girl I have loved to be in the kitchen. My mother taught me how to be a successful cook and she gave me a great pie crust recipe that is regarded by many as the best pie crust they have ever had. I started making pies for some of the special events I was involved in and have since made pies that have been successfully auctioned at various fundraisers. I am always coming up with different flavors and ideas to make my pies unique. I use the freshest ingredients I can find and try to source locally. I have developed some gourmet flavors for people looking for something for a special occasion or are bored with the same old fillings. I also make them more visually appealing with decorative crusts, like the ginger pear jeweled apricot with sugared almond topping photo shown here. RA, god of the sun, giver of life, destroyer of darkness, a main character in the hit blockbuster movie STARGATE. Yes, THAT Ra. He has returned to shine his light upon us mere mortals, to bless each and every one of our taste buds, to infiltrate our very hearts by way of tortilla chip. Therefore, I am introducing: SalsRA. As a fan of intensely spicy food, I've noticed it's becoming increasingly difficult to find salsas with the needed balance of heat and flavor. That is why, with the help of the ancients (my friends Thom and Stouder) I have stumbled upon the secret to absolute food enjoyment. My friends call me all the time to see when the next batch is rolling out. I can barely keep up with demand and that's why I need your help. This salsa is not for everyone, but it is geared towards the ever-expanding number of spice enthusiasts . SalsRA has the balance we've been looking for, starting with the sweet taste of berries and ending with a fiery blast of my signature three‐pepper blend. Brainy Kids Snacks are delicious treats loved by both parents and children! Our chocolate chip cookies are packed full of protein, fiber and Omega 3s, free of white sugar, bleached flour and trans fats, individually packaged for parents and kids on the go, and packaged with fun trivia questions about the brain to increase knowledge about brain and overall health. Don’t tell the kids, but these tasty treats include nutritious ingredients such as beans to boost protein levels. Parents will appreciate the nutrients while their children enjoy the great taste. Brainy Kids Snacks are great for use in lunches, in the car, as a study break, at sporting events and anytime you need a healthy snack! I am originally from Thailand and do not normally like fast food like pizza or hamburger. However, after living here for several years, I found the way to create a healthy fast food! A hamburger mixed with Thai spices and herbs, hot and exotic, with nutritious ingredients like green bean, ginger, galanga and lemongrass. I tested it with friends and family to adjust the taste and perfect the recipe. Now I am ready to tell the world about Thai HOTburger. Never before has a hamburger been combined Thai spices. It makes a fast food staple much healthier. Spicy sandwiches are popular, so the combination has natural appeal. Thai spices are nutritious and healthy, and can help improve the immune system. It is also very delicious and can be prepared with three levels of spiciness: mild, medium or hot.